CereCare is a network of people, parents, physicians, and therapists, who either have children or treat children that suffer from cerebral brain injuries and are seeking information for alternative therapy and treatments to the afflictions. The network was established as people began attending medical forums throughout the country and establishing a relationship and bond because of having or knowing afflicted children. The goal is for these children to lead productive and independent lives. Located in Las Vegas, Nevada, Dr. Wen Guo, M.D. is a physician in the discipline of integrative medicine. Dedicated to helping children with cerebral palsy, she builds relationships with each patient based on compassion and respect. 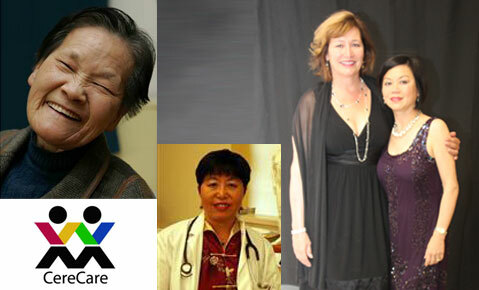 She has been practicing internal medicine for over 13 years, and began incorporating acupuncture into her practice the last 5 years. Dr. Guo is a member of the American College of Physicians and the American Medical Assocation. CereCare is affiliated with the CereCare Wellness Center located in Shanghai China. The Center was founded by Lieu Shun Ling, where she developed an acupressure treatment regimen of physiotherapy, hydrotherapy, speech therapy, basic reading and writing, lessons and conductive education. It is CereCare’s vision to be a central repository of therapy and care data, to disseminate and promote such information between parents and clinicians. There is very little printed material in the area of care and therapy for cerebral injured children. This area is generally under-served because parents will often choose to institutionalize their children rather than face the arduous task of homecare. However, because of poor institutional care, many parents are now more willing to commit to a lifestyle change and accept homecare as a better and more humane alternative. Incorporated in 2005, CereCare is recognized as a charitable organization under IRC Sec 501 (c)(3).